Why did we choose to only include Canadian music and artists in our rotation? 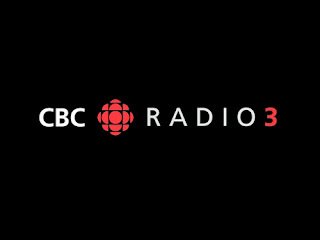 To many of you, CBC Radio 3 is synonymous with all-Canadian independent music already. We believe this music format makes a huge impact for Canadian musicians. In a world of musical offerings, 100% Canadian is distinct. We're celebrating, but we're not bigots. Play bands that feature Canadians prominently, even though they don't technically qualify as ‘official Canadian Content,' like the new Buck 65 collaborative project, Bike For Three. Play a cover! If a Canadian artist is covered or remixed by a non-Canadian artist and people are talking about it, we will feel very comfortable playing that song for you once or twice for context, as we recently did in our Remix Special Podcast. Broadcast a non-Canadian band at a live event because they're on the same bill as several amazing Canadian acts, as we did two years ago at Pop Montreal. Make an occasional exception: Our recent CBC Radio 3 Session with Neko Case, who is American, but is widely considered an ‘honourary Canadian. 'Embrace an artist's choice, if a guest host or artist wants to play a favourite track or talk about influences. Basically, our rule of thumb will be this: if it feels Canadian and if audiences consider it a relevant and essential part of the celebration, enjoyment, and discussion of Canadian music and culture, we're gonna play it. As Sloan put it, "if it feels good, do it." That's what 100% Canadian means to us. So in other words CBC Radio3 Goes 100% Canadian - Sorta.